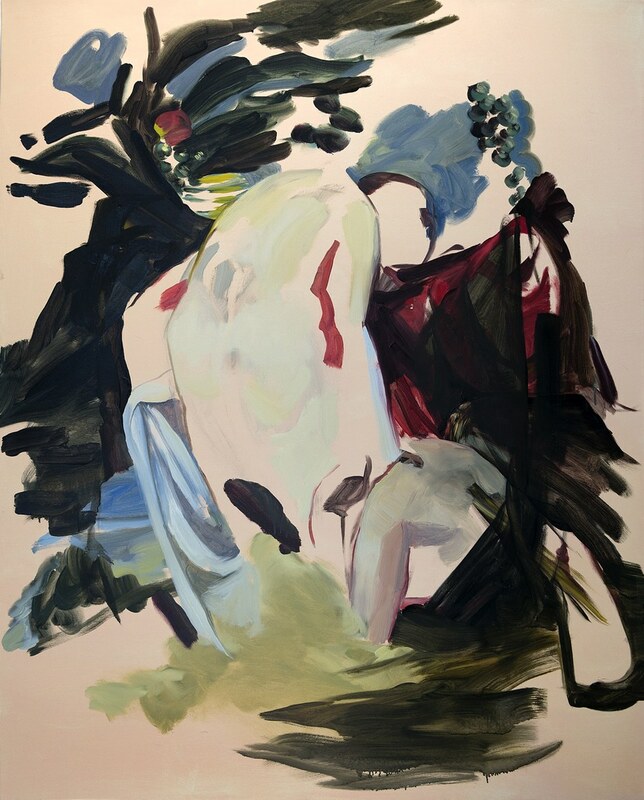 Tiffany Calvert, Untitled 276, 2015, oil and acrylic on canvas, 48 x 60 in. "New Recruits" features work by Kyoungmee Kate Byun, Tiffany Calvert, Meena Khalili, Margaret Leininger, and Rachel Singel. 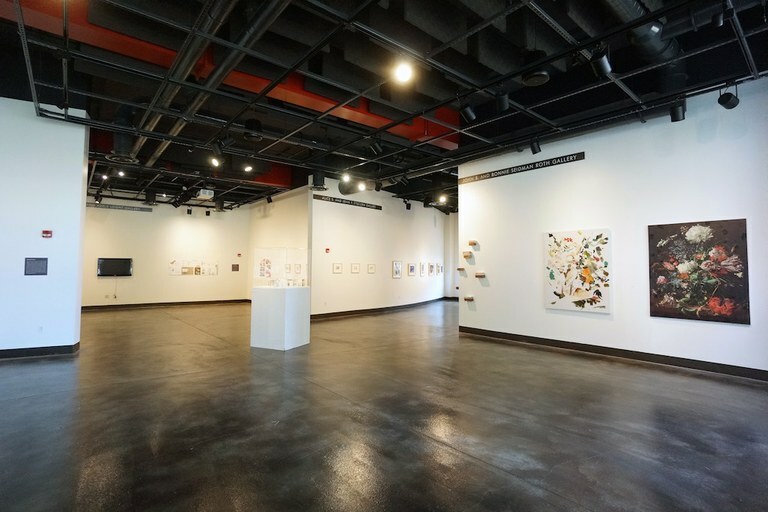 The exhibition highlights the newest additions to the studio art faculty at the University of Louisville, artists whose work spans the multidisciplinary range of the Department of Fine Arts. Byun's interior architecture and design work is aimed at increased interaction—both socially (between those using the spaces she designs) and spatially (between the design work and the architectural structures it occupies). Calvert's paintings draw on imagery from art historical and contemporary sources, not as an act of appropriation but rather of reproduction. 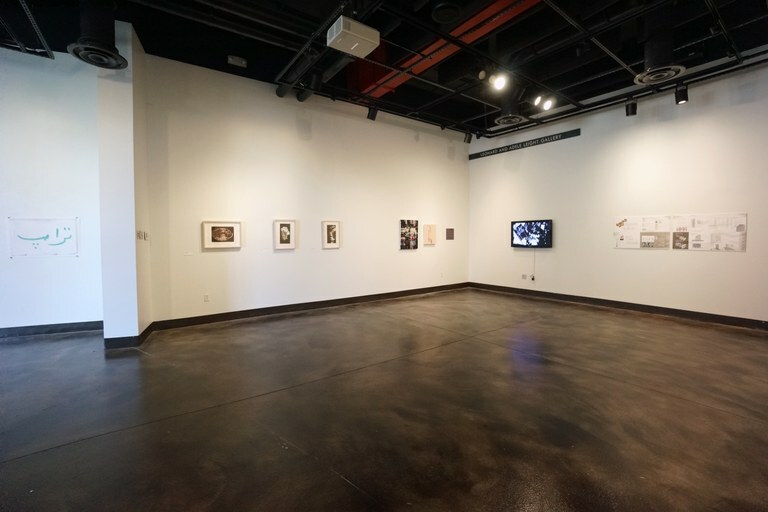 The work investigates the informational capacity of these reproduced images, and the ways in which the artist might interrupt or otherwise compromise their reliability. Khalili's practice crosses the disciplinary boundaries between traditional design and studio art. 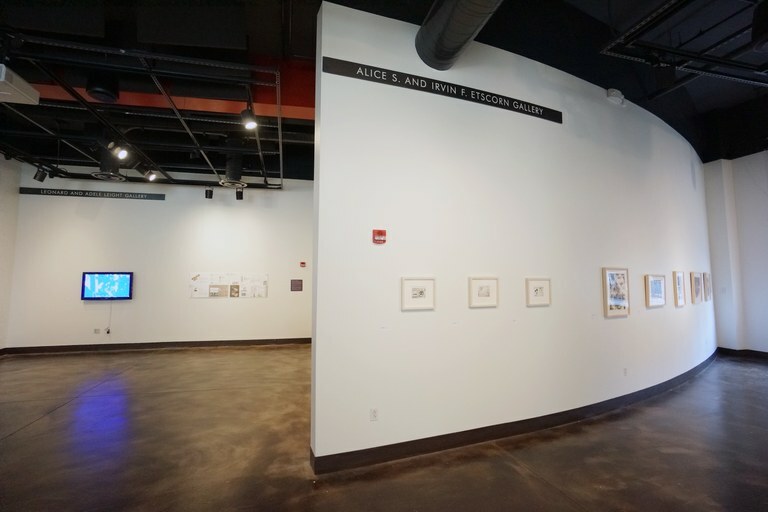 Often drawing on typography and Persian calligraphy, her work is inspired by geography, impermanence, and her experiences as a first generation Iranian-American. Leininger, a fiber artist by training, is deeply committed to art's capacity for provoking or modeling social change. Her work often intervenes at the intersection between craft making and the social bonds that it facilities. Singel's work is invested in the natural rather than the social. Using lithographic techniques, her work imitates the generative and corrosive natural forces that create minerals and other geological formations. Absence is a recurring motif in her art, which investigates what may exist within the void—an irreducible feature of almost all natural surfaces (from pores to burrows). 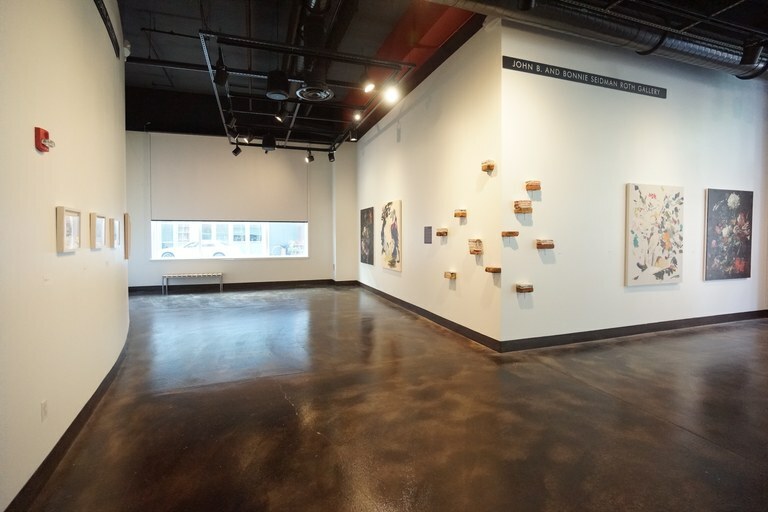 "New Recruits" introduces the newest generation of Hite Art practitioners—a welcome addition to the boundary-defying work undertaken at the University of Louisville. The exhibition will remain open all summer, with a closing reception on September 8, 2017, to welcome students and faculty back from summer break.